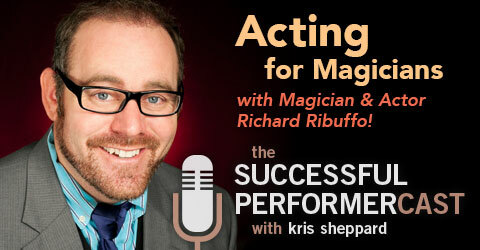 Richard Ribuffo talks about Acting for Magicians teaching us how and why acting and theatre training are amongst the most valuable tools for magicians and how we can benefit greatly from understanding how to apply these tools. Richard, will be the first to tell you he’s not a “successful performer, per se but a succeeding performer.” He does have tremendous value to offer though, when it comes to having a great product to sell. As David Ogilvy said, “Great marketing only makes a bad product fail faster,” so Richard is here to talk about how to improve our product, our show. In this episode, Chipper Lowell talks about being raised around the circus, his approach to comedy, and the importance of branding yourself! 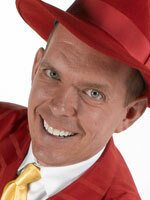 With his comedy, magic, and fun, crazy antics, Chipper has made a living performing for over 25 years. He’s headlined casino showrooms in Vegas, Atlantic City, Tahoe, and Reno. Brought his show aboard top cruise lines like Princess, Holland America, and Celebrity. He’s also become a favorite of top corporations performing at their events and trade shows. 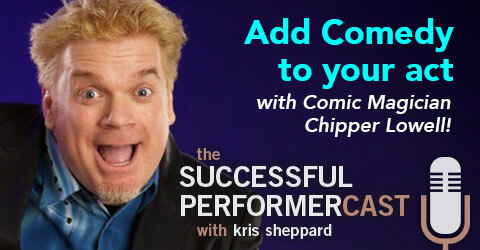 Add to this, he’s also toured with his one man show, “The Chipper Experience, where comedy and magic collide,” in performing arts centers, theaters, and casino show rooms throughout the US and Canada. When it comes to accolades, Chipper has twice received “Comedy Magician of the Year,” “Specialty Act of the Year,” and was nominated two times for “Stage Magician of the Year.” He’s also been listed among the “Top Funniest Magicians Performing Today” in Magic Magazine. 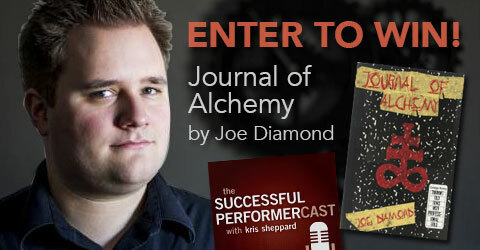 Enter to Win: Journal of Alchemy by Joe Diamond! Win a copy of Joe Diamond’s new book Journal of Alchemy! Journal of Alchemy is Joe’s first book for magicians. It’s a quick read that teaches five powerhouse routines from Joe’s professional repertoire. All the routines are audience tested, and simple to perform so you can focus on having fun with the material and connecting with your audience. The winner will receive both an autographed printed version and the digital version of the book! Contest runs through March and winner will be chosen on April Fool’s Day (4/1/2015). Read after the jump to find out how to enter! In this interview, Doug Scheer tells us all about creating themed educational magic shows! Doug Scheer is a magician and an expert at creating customized educational shows. He’d originally worked in the auto industry for two decades creating custom magical presentations for General Motors. And now he’s found success in offering 13 different shows to the educational school show market creating and performing shows that teach lessons as well as amaze!